The Middle East and North Africa (Mena) region’s pharmaceuticals market will remain a key region for drugmakers, despite headwinds that challenge growth, said a new report. The near-term scenario is still uncertain, with macroeconomic and political instabilities challenging drugmaker revenues. However, the region’s long-term prospects remain bright as the rapid expansion of healthcare coverage mirrors a stronger demand for, and uptake of, medicines throughout the wider region – providing ample opportunities for innovative and generic drugmakers alike, BMI noted in its Middle East and North Africa pharmaceuticals and healthcare report. According to the report, the region’s $31.7 billion drug market is forecast to expand through to 2021 to $38.9 billion with a 6.6 per cent compound annual growth rate (CAGR) at constant exchange rates (CER). The Mena region is made up of the sub-regions of North Africa and the Middle East. The $9.9 billion North Africa region will post a 7.8 per cent CAGR through to 2021. The Middle East’s $21.8 billion drug market will post a 6.1 per cent CAGR over the same period. 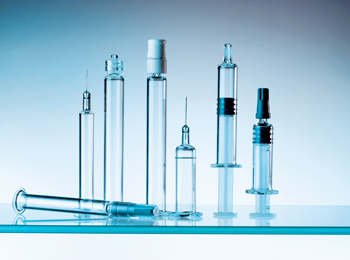 Mena’s pharmaceutical market will post a five-year CAGR of 4.2 per cent. In July 2017, Egyptian pharmaceutical firm PharmaPlast announced plans to establish a new factory in the Industrial Borg El-Arab City in 2018, at a cost of $2.2 million. That month, Cyprus-based pharmaceutical company Medochemie announced plans to develop a manufacturing presence in Egypt, according to Ahmed Abdel Razek, Head of Industrial Development Authority. In the same month last year, the Algerian government announced plans to remove incentives applicable to pharmacists. The measures consist of a mark-up of 10 per cent for each generic product and another 10 per cent for each locally manufactured product that is supplied to consumers. However, pharmacists protested the proposal, which will be subject to broader deliberation, alleging that it would benefit foreign drugmakers and importers. Merck KGaA announced in July that it plans to roll out an innovative healthcare initiative in Tunisia by 2019 - following its launch in Kenya in 2016. In August last, the Moroccan Ministry of Health acknowledged the shortages of certain imported drugs used for infantile diseases and some cancers, announcing it has introduced generic drugs to compensate for the deficit. In July, Saudi Arabia-based Tabuk Pharmaceutical Manufacturing company entered into a licensing agreement with Dong A Pharmaceuticals, a leading Korean drugmaker. That month, Lebanese and Egyptian health ministers signed a cooperation agreement aimed at establishing medicine factories through investment from both countries. In August, Iran launched an adapted pilot programme in line with the World Health Organization (WHO)’s Package of Essential Non-communicable (PEN) disease interventions for primary healthcare in low-resource settings. Also, the UAE-based Neopharma announced plans to construct a second pharmaceutical manufacturing facility in Abu Dhabi which aims to focus on innovative drugs. Further, two agreements were signed between Qatari firms and Pakistani pharmaceutical companies, with two Pakistani drugmakers, including Martin Dow Pharmaceuticals, set to begin manufacturing operations in Qatar within a year. In September, the Government of Dubai announced that the pharmaceutical and medical equipment sector of the Dubai Science Park (DSP) is expected to grow by an additional $4.9 billion by 2030. 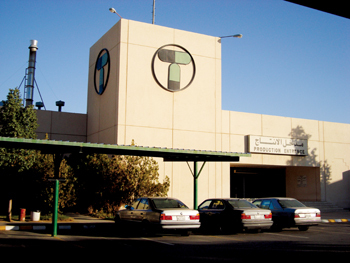 In the same month, Israel-based Teva Pharmaceuticals appointed a new CEO, Kare Schultz and also announced plans to sell the remaining assets in its speciality women’s health business. The Mena region’s pharmaceutical and healthcare markets have been shaped by a range of opportunities and challenges in 2017. Although discrepancies exist at the country level, both local governments’ and drugmakers’ performance have been challenged by the impact of a slow recovery within the oil sector as well as regional instabilities, the report said. “While we expect that political and macroeconomic conditions in the region will continue to challenge drugmaker performance and regional growth beyond 2017, this is dictating a number of strategic developments as companies adapt and diversification efforts advance,” BMI stated. In line with its outlook, the Mena region’s pharmaceutical and healthcare markets have proved a challenging environment for drugmakers and governments alike in 2017. While BMI expected this theme to continue in the years ahead, the lower-for-longer oil price environment will encourage a more strategic alignment from pharmaceutical companies and local governments. As the oil price outlook remains bearish over the coming five years, drug companies are learning to adapt and the Mena governments are pushing to reduce their over-reliance on oil. “As such, healthcare budgets and pharmaceutical market growth are likely to remain limited in the near-term, yet we hold a more positive outlook over a longer timeframe,” BMI predicted. In 2017, the tough economic and political outlook for the Mena region added to the industry challenges facing pharmaceutical companies with exposure to the region. Medicine pricing pressures remained an inherent threat, and all Mena countries looked to advance cost-containment measures within the pharmaceutical sector. This demanded a more strategic alignment for drugmakers to effectively capture future revenue-earning opportunities in the Mena region. In August 2017, the GCC’s medicine pricing guidelines were discussed as part of the GCC Drug Pricing Committee’s 33rd annual meeting in Oman. The meeting reviewed the region’s drug pricing guidelines study and the unification of medicine prices provided by the Sultanate and Saudi Arabia. In October 2017, the UAE signed 12 Memorandums of Understanding (MoU) across 11 industry sectors, including with multinational drugmaker Pfizer, for the creation of a ‘UAE Centennial 2071 Area’ in Dubai. In an attempt to boost foreign drugmaker opportunities in the UAE, a number of key targets have been set to improve the population’s access to high-quality medicines and local pharmaceutical production. The Mena region will continue to present a diverse range of opportunities for international drugmakers. While some markets present high growth potential and opportunities for innovative product launches, it is vital that companies appreciate the varying levels of both investment risk and reward that are present in the markets in the Mena. Whilst moderate austerity and regional instability is set to remain the norm in the majority of the Mena region, most countries will look to restrain public sector wage bills and advance cost-containment measures within the pharmaceutical sector, the report said.